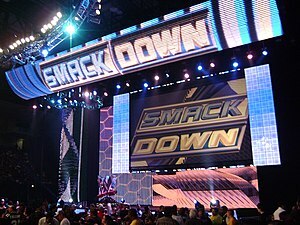 Here’s a very short post for you guys as to why I have stopped watching Smackdown. Note: I actually was a huge fan of the Smackdown brand as opposed to the Raw brand for some reason, but here’s why it all changed. Lets get right to this, I am going to run you guys through each of the matches VERY briefly to let you know what i thought of “The Granddaddy of them all”.